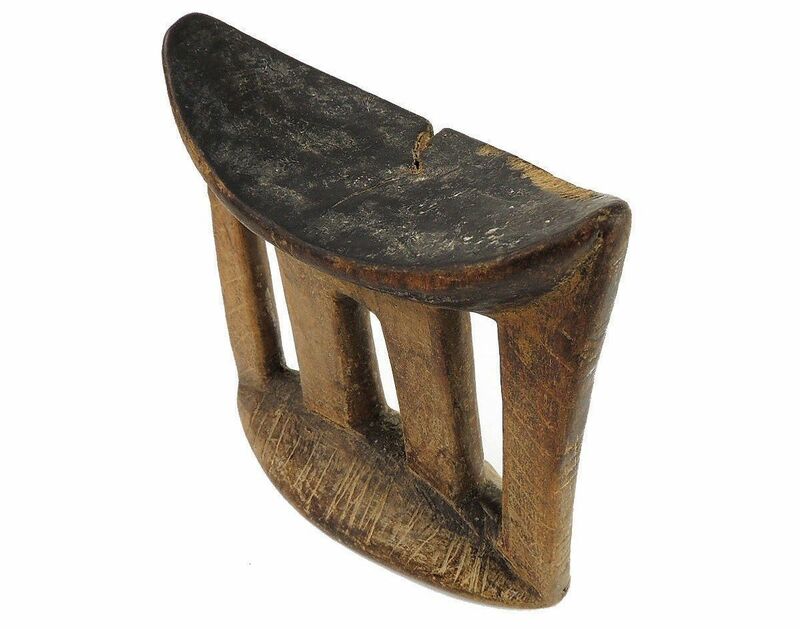 Ethiopian headrests come in various forms. 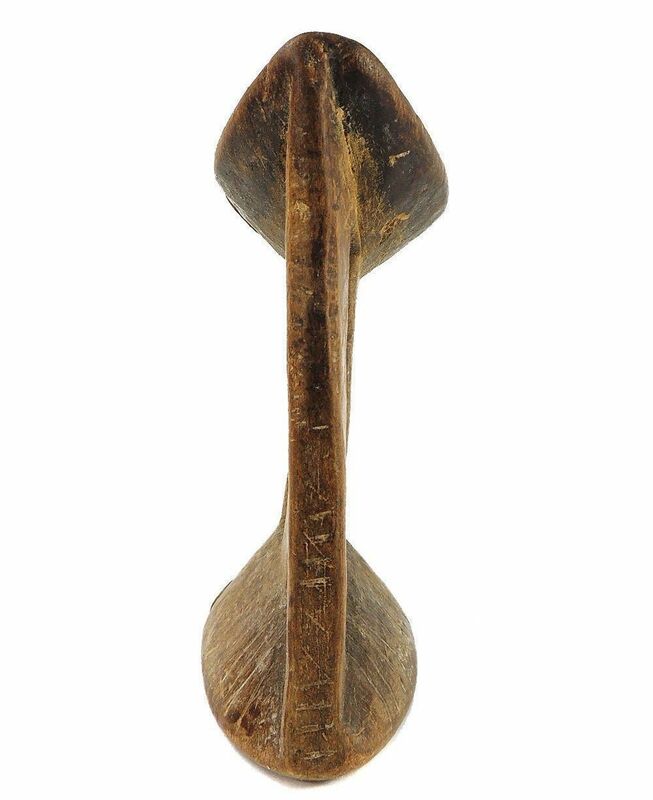 They are ranged from the simple to elaborately carved artifact. 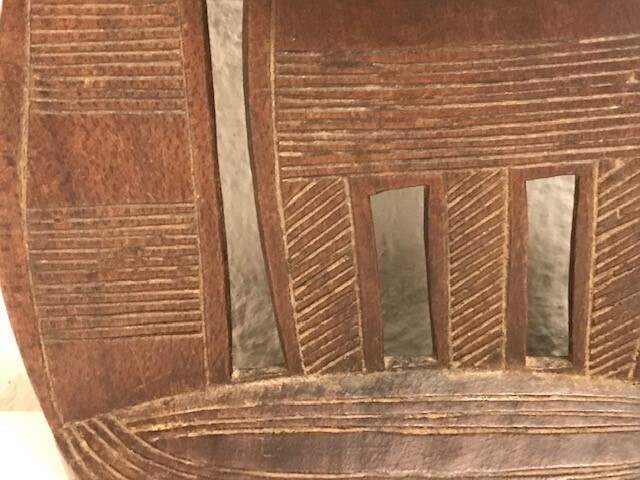 They have abstract shapes, nice lines, and are sometime decorated with sophisticated geometric patterns. 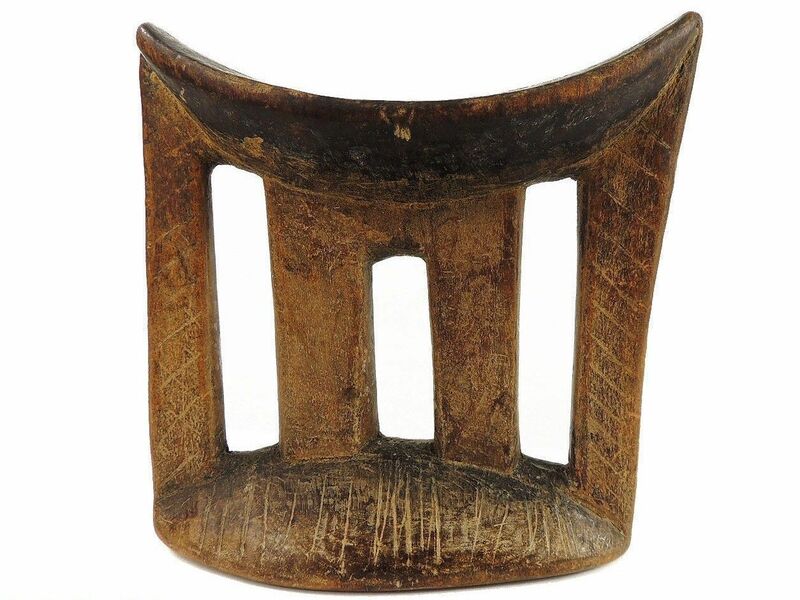 Ethiopian headrests mostly come from peoples such as the Somali, Gurage, Kambatta, Sidamo, Oromo, and Arussi. 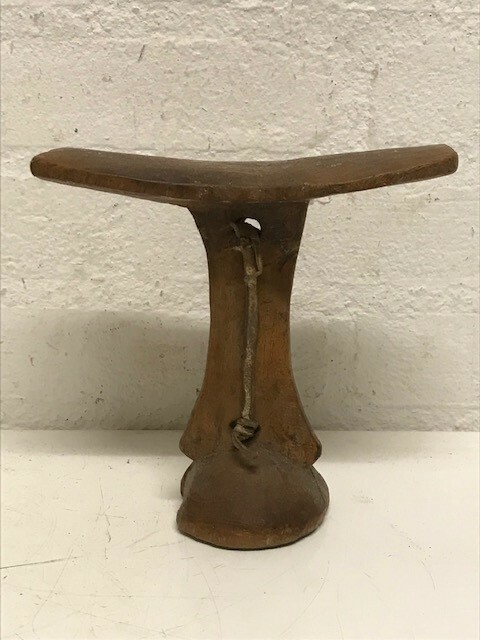 Among these people headrests and stools play a vital role among men. 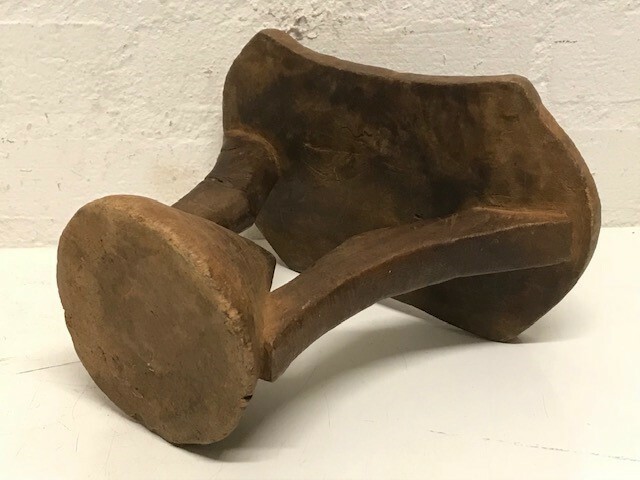 These objects are carefully carved and carried by men everywhere they go. Headrests are used as pillows to help someone to have good sleep. 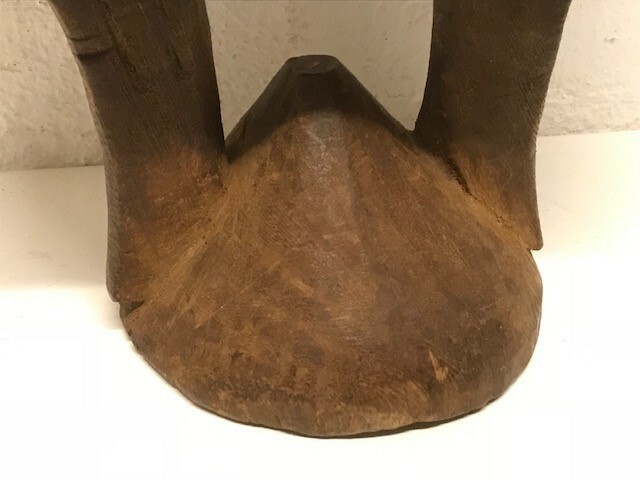 They also used as a comfort to help protect ceremonial coiffure. 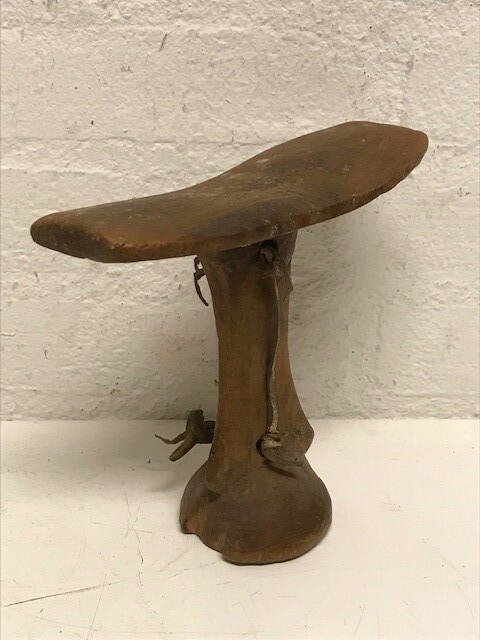 In some occasions headrests are used as stool. 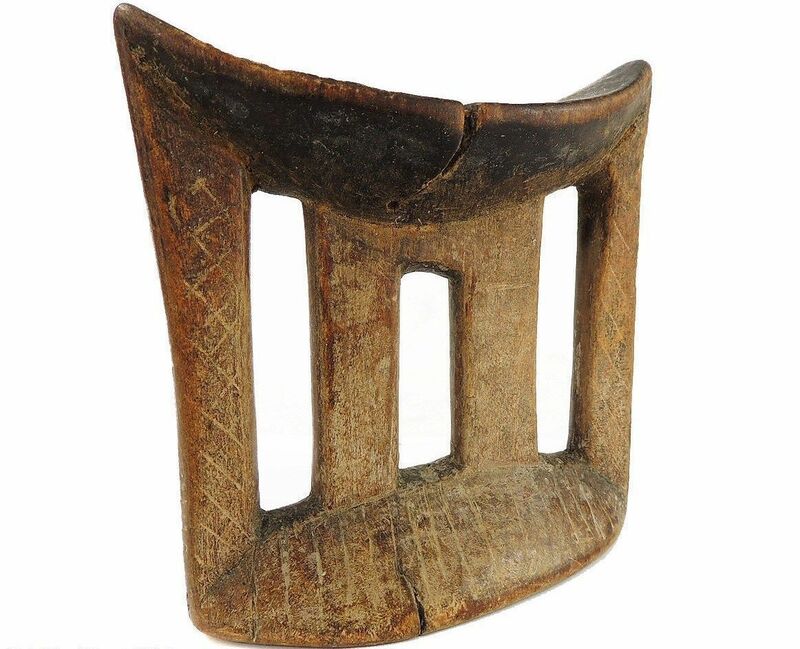 As a personal object, the headrest has become part of the individual. 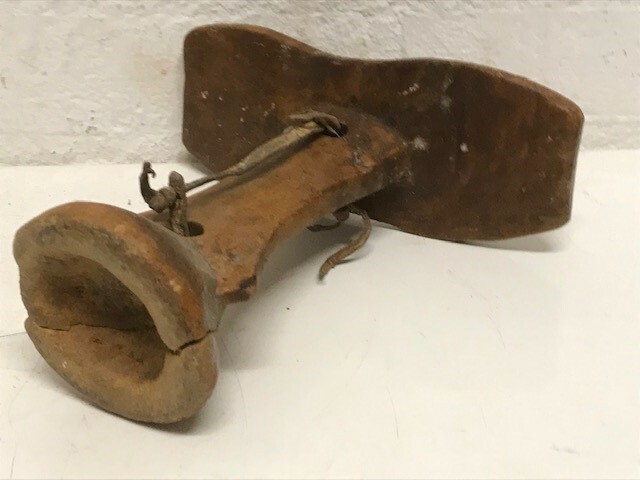 Usually, when the person died, he is buried with his headrest. 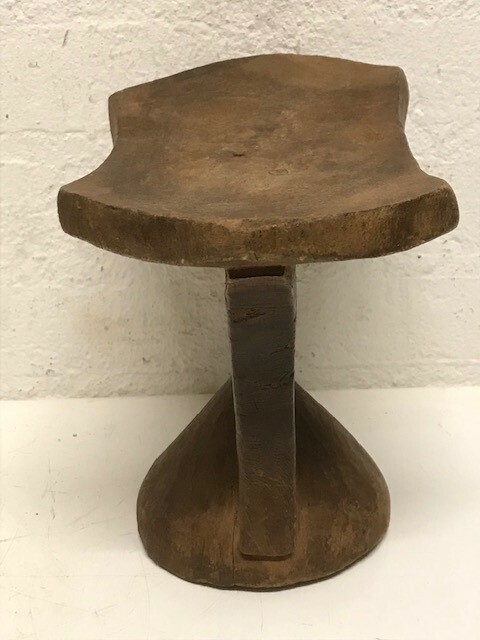 Sometimes the headrest is passed on to his heir, who would treat it with respect because this wooden piece embodies the spirit of the deceased person. 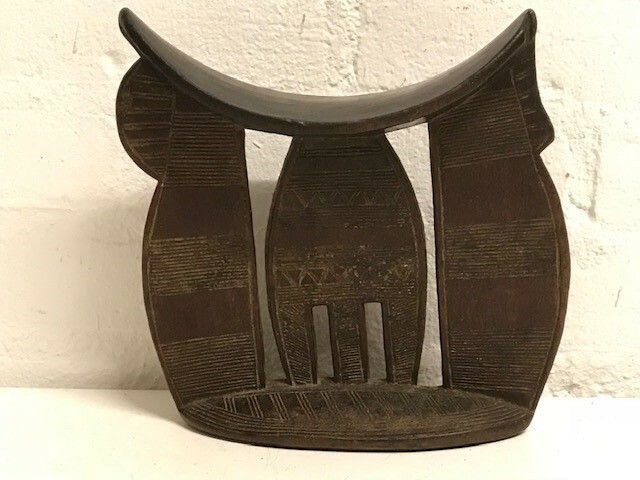 Ethiopia: Tribal used Old African Ethiopian Sidamo Headrest. 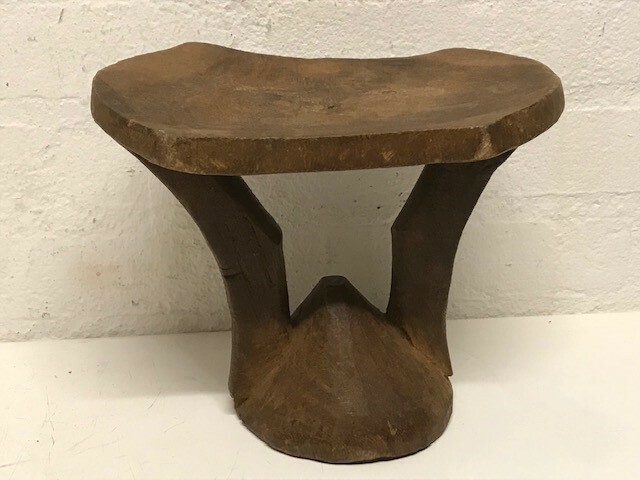 Height: 20 cm a 18 wide. 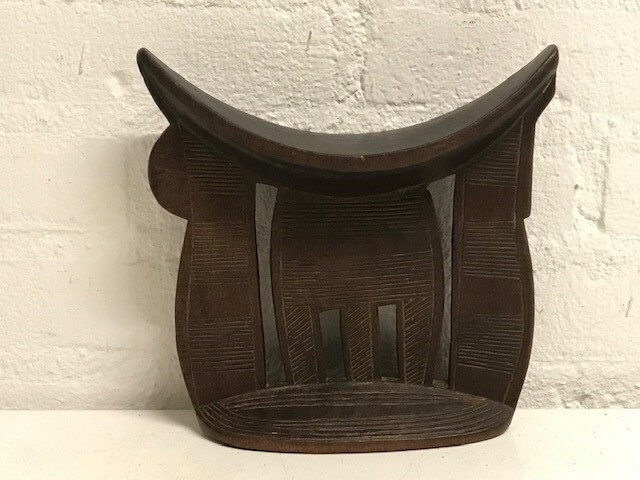 181034 - Tribal used African Ethiopian Sidamo Headrest. 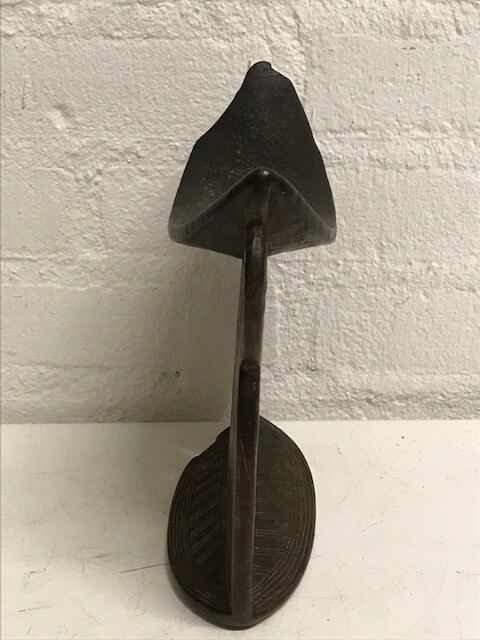 Height: 19 cm a 19 wide. 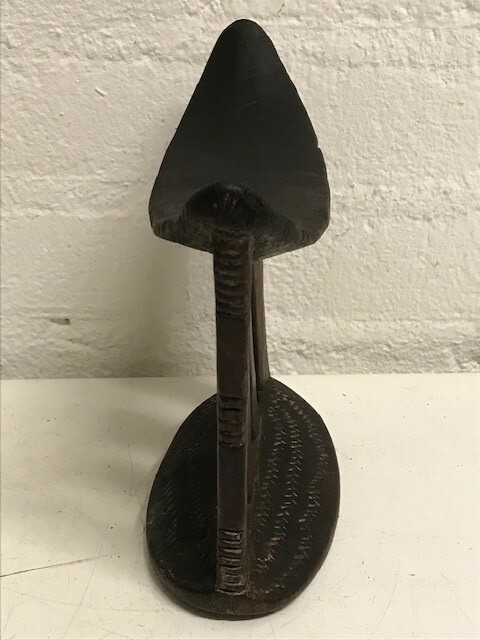 181032 - Tribal used African Ethiopian Arussi or Kambatta Headrest. 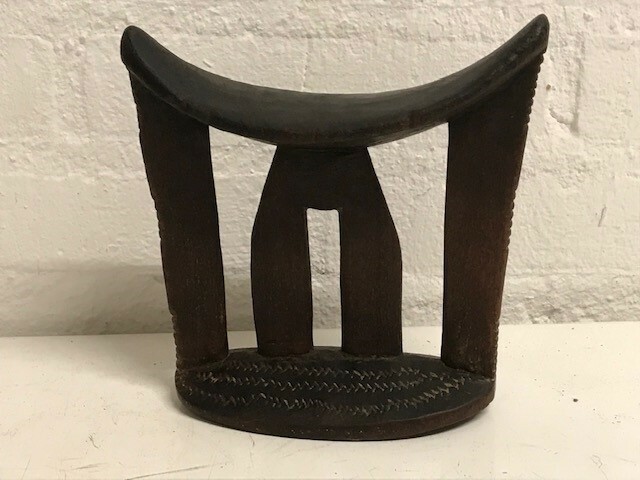 Ethiopia: Tribal used Old African Ethiopian Arussi Headrest. 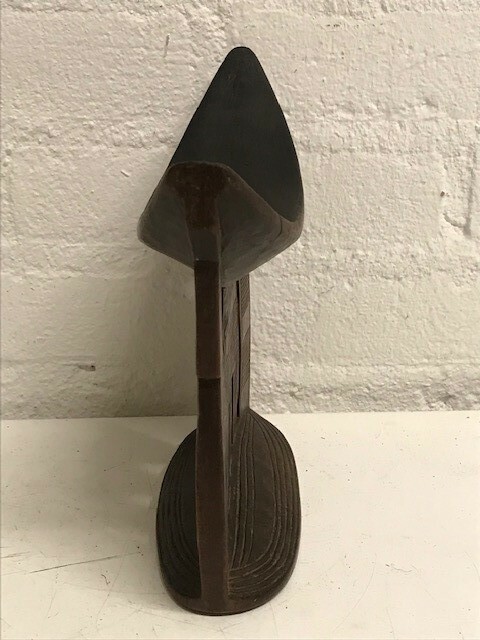 Height: 16 cm a 16 wide. 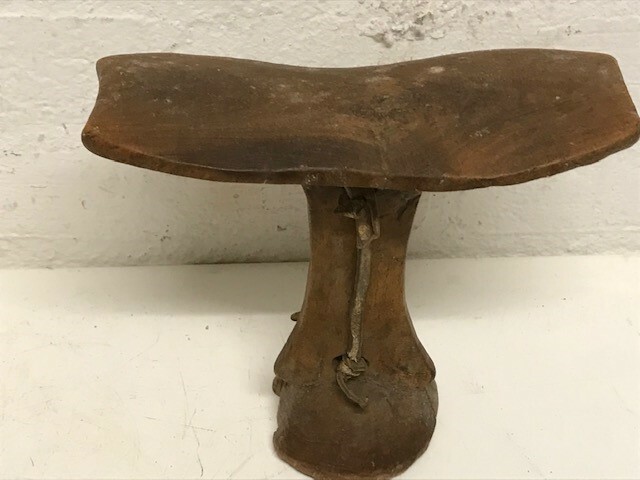 Tribal used Old African Ethiopian Authentic Hamar Headrest. Height: 16 cm and 16 cm Wide. 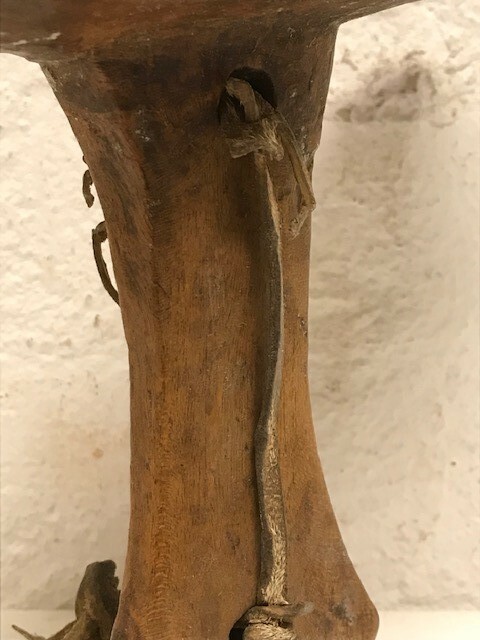 Height: 17.5 cm x 21 cm. 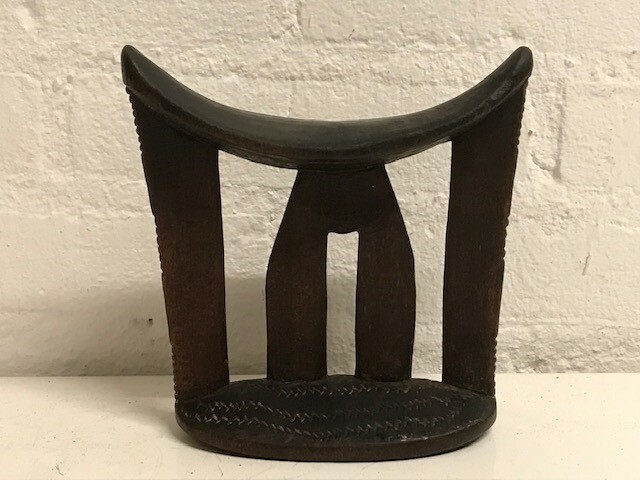 Tribal used Old African Ethiopian Arussi or Kambatta Headrest. 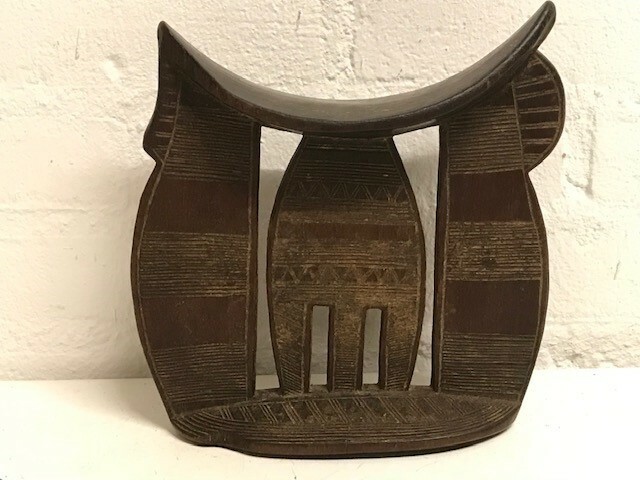 Tribal used Old African Ethiopian Arussi Headrest. 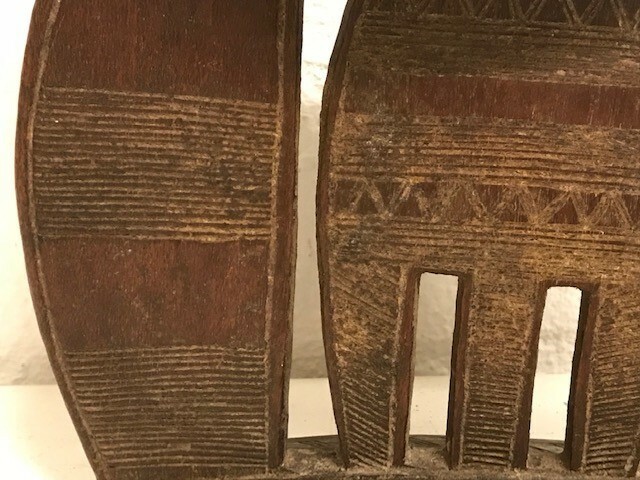 Height: 15 cm a 15 wide.